Located in eastern Washington, Spokane is the second-largest city in Washington State. Home to a population of over 200,000 inhabitants, Spokane is famed for its Romanesque Revival-style buildings and natural landscapes. Once a prominent trading post, the city has been transformed into a sport and cultural hub. Top attractions include Riverfront Park and The Historic Davenport Hotel. Explore the city’s breathtaking landscapes and deep-rooted history with cheap flights to Spokane! Spokane is home to Spokane International Airport (GEG), a short 15-minute drive from the centre of town. Spokane International Airport serves a multitude of airlines, including Delta Airlines, Alaska Airlines and United Airlines. Direct flights to Spokane are unavailable from South Africa, but popular connecting flights depart from Cape Town, Johannesburg, Durban and Port Elizabeth. The Davenport Arts District is home to many galleries, boutiques and restaurants. The Entertainment District houses the Knitting Factory Concert House, the Martin Woldson Theatre at The Fox and plenty of bars where you can sample Spokane’s local brews. Discover the beautiful landscapes and parks scattered through the city. 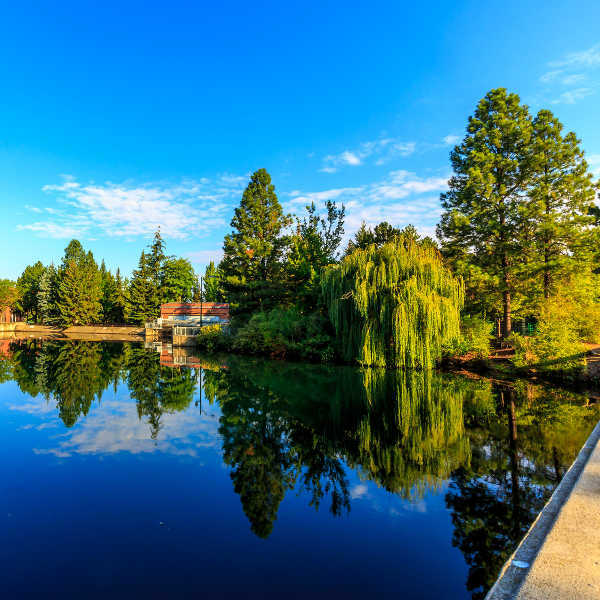 Manito Park is an impressive botanical area, with a Japanese garden and wildlife viewing. Stroll through Riverfront Park, where the eye-catching Spokane Falls is a natural wonder. With so many thrilling adventures at every turn, your holiday will never be boring. The Centennial Trail attracts hikers, cyclists and horse-riders. Explore the peaks of Mount Spokane State Park, offering exhilarating skiing during winter. Spokane brings delightful weather all year round. Spring (April-May) brings fresh, mild mornings and warm afternoons, while autumn layers the city in hues of auburn and chestnut. These shoulder-seasons are ideal times for visiting when summer crowds have dispersed and accommodation rates are lower. The summer months, between June and August, bring glorious sunshine all day long; while the crisp, snowy days in winter (November-March) attract skiers and snowboarders to the beckoning slopes of Mount Spokane State Park. Catch the lowest rates and fewer crowds in the off-season, between November and March. Spokane is the second-most populated area in Washington State and it offers a scenic and welcoming break to visitors from all over. 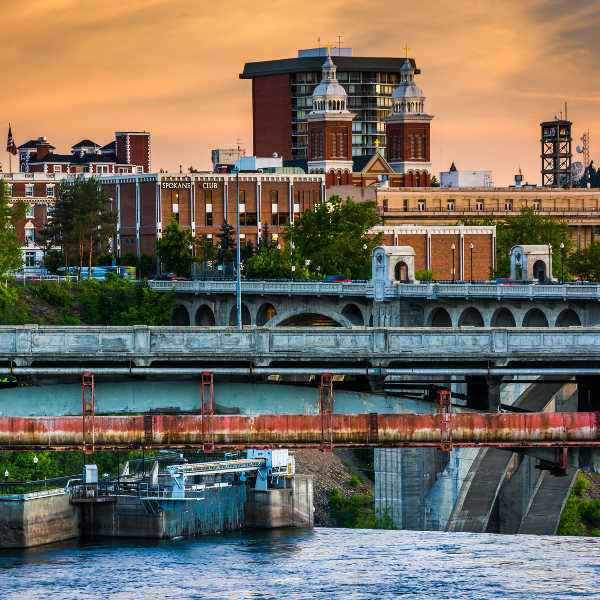 The focus of this understated city is definitely downtown Spokane where you can indulge in shopping as well as exploring its main attractions. The Riverfront Park is beautiful for a stroll and Manito Park is a popular spot in the winter for sledding. It also boasts a zoo and a fantastic rose garden. Hop aboard the Spokane Falls Skyride to see the gushing waterfall in all its glory. The 60km Centennial Trail leading out of the park hosts an assortment of events and festivals throughout the year. Riverside State Park, consisting of stunning basalt rock formations in the middle of the Spokane River, is a popular spot for fishing and kayaking; while avid skiers can be found gliding through the landscape in winter. For something different, visit the Northwest Museum of Arts and Culture, featuring underground galleries and rotating exhibits. Catch live performances, ballets and operas at the Art Deco-inspired Martin Woldson Theatre at The Fox. For a touch of class and elegance, visit The Historic Davenport Hotel with its ornate woodwork and décor. The Tudor-style Campbell House offers a glimpse into the lifestyle of wealthy aristocracy in the 1900s. Compare several airlines, and book your cheap flights to Spokane online at Travelstart! For further information, see the Embassy website. Spokane is a fairly small town with an extremely low crime rate. Visitors should feel perfectly safe to walk around and enjoy the town’s attractions. Nevertheless, general safety precautions should always be taken. The Spokane River has strong undercurrents, so swimming and jumping off the rocks should be avoided altogether. There are plenty of lakes should you wish to canoe or swim. 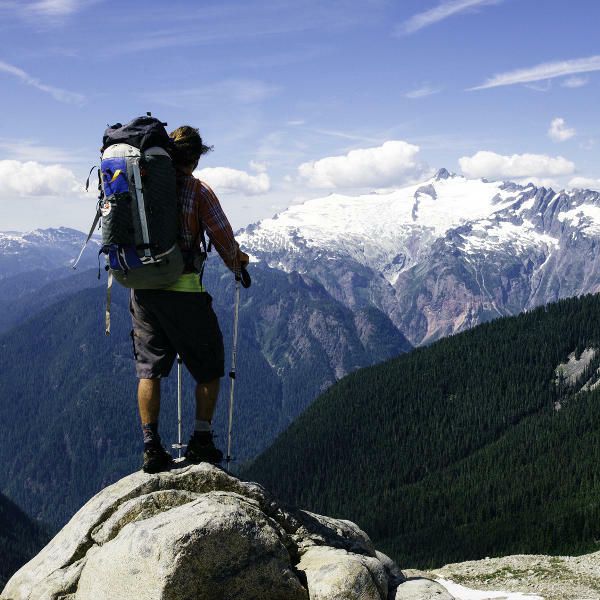 A comprehensive travel insurance is always recommended in the event of unforeseeable theft and medical expenses.